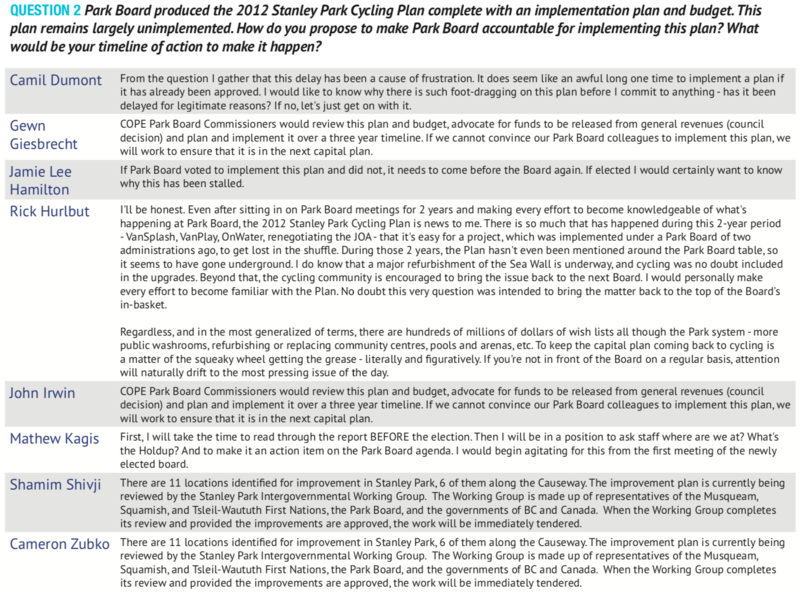 Park board refused to take action on this section until, as a result of HUB committee action, Park Board finally tasked staff in late 2017 to come up with improvement plans. This is the “Seaside Greenway at Kitsilano Park Proposed Concept” presentation at a Park Board Meeting on March 12, 2018. This concept was turned down by commissioners and returned to the drawing board, where it remains now. The improvements in the Kits Beach area need to happen NOW. Installing better signage along the route. 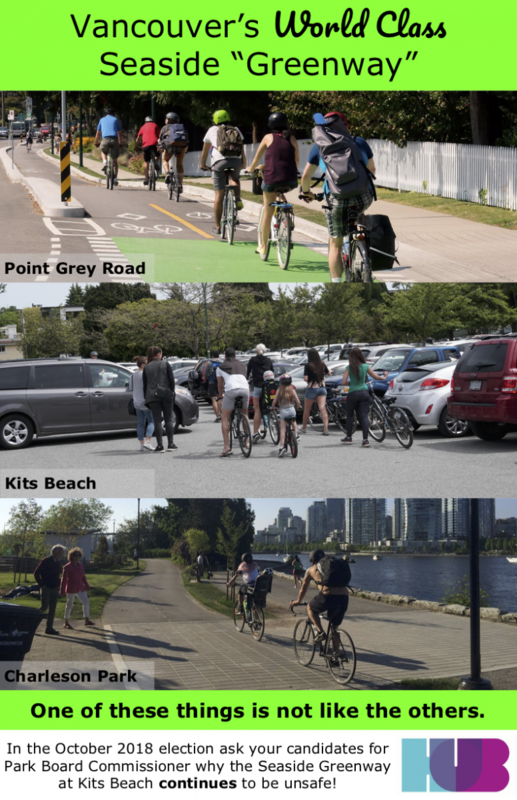 Over two decades, the City of Vancouver has identified a stretch of cycling and walking paths between Burrard Bridge and Trafalgar- the neighbourhood that includes Vanier and Kits Beach Parks, and representing one-tenth of the 28-km-long Seaside Greenway — as incomplete. In this area, existing paths are too narrow and inadequately signed, roads do not include protected bike lanes, and are often busy with vehicle traffic. Coming from both east and west directions, people on bikes are directed from newly separated infrastructure onto these busy roads and through parking lots. People on foot and on bikes are positioned dangerously close to each other — and motor vehicle traffic — at one of Canada's most popular beaches and leisure destinations for residents and visitors. Continued infrastructure improvements and regional transportation leadership are critical to getting more people biking more often, and helping us achieve Transportation 2040 goals; they are also vital to preserve public safety and support a Vision Zero Traffic Fatalityapproach in our communities. Without an immediate commitment to a remedy for this stretch of the Seaside Greenway, people on bikes must choose between placing themselves and others at risk or avoiding this location. Would your local candidates for mayor, council and park board vote in favour of increasing cycling education, investment, and infrastructure that would #UnGapTheMap in your municipality and the region more broadly? And would they make these commitments within the next four-year election cycle? 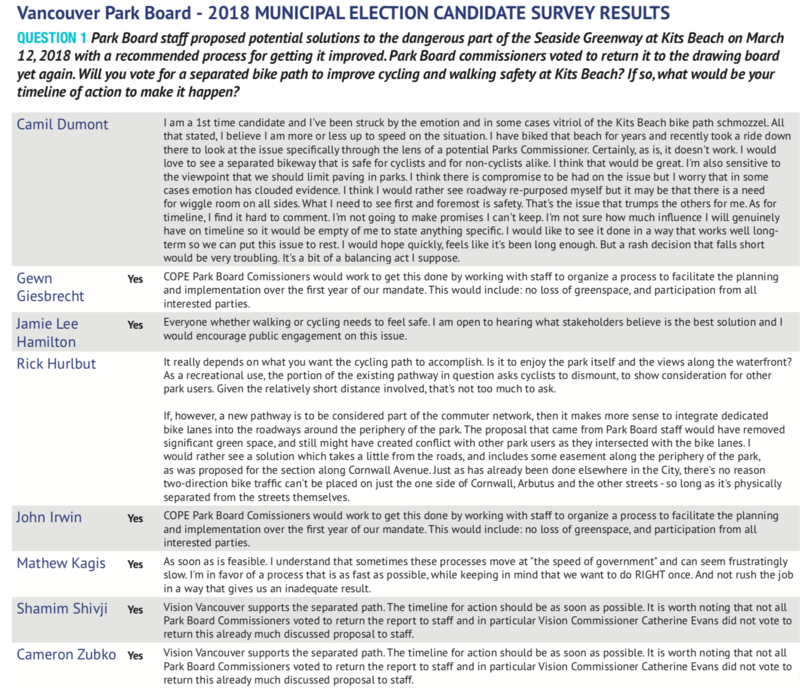 We asked all the Vancouver park board candidates to complete a brief survey about their position on cycling. 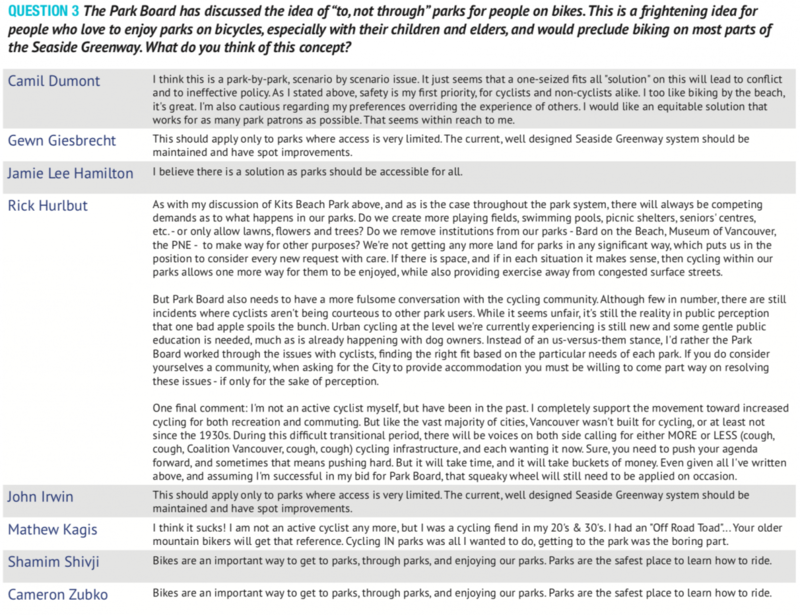 Visit bikehub.ca/Vancouver-UBC to see responses from Vancouver Mayor and council candidates.